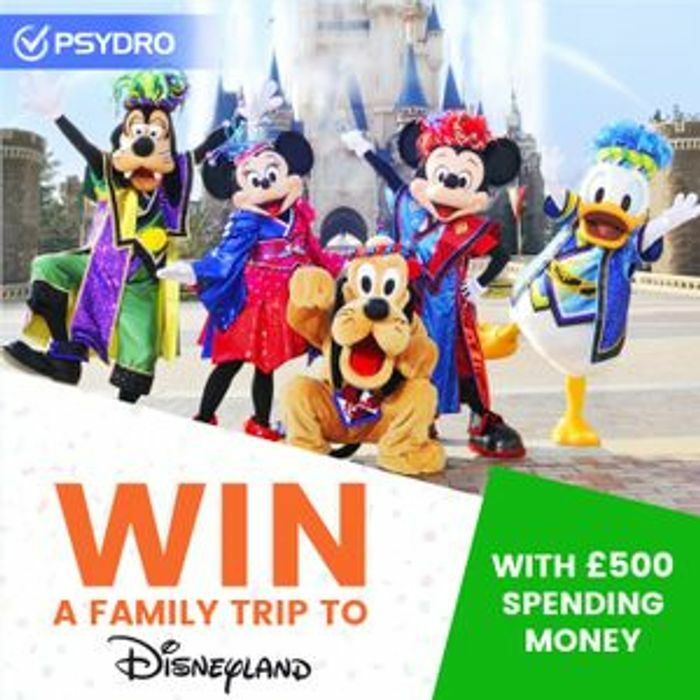 This is your chance to win a trip of a lifetime to Disneyland Paris for a family of 4 along with £500 spending money. All you have to do is register with Psydro and leave one review about your most recent purchase or experience with any brand or business. The more reviews you leave the better chance you have of winning. Tip - a good review is a informative review with images to verify your purchase or experience and others love to see pics. This competition is in collaboration with Psydro. What I'd give for this ! !